It’s easy to get bogged down with too much clutter in your home, particularly when your council may only collect in in every two weeks. Rubbish Removal Hackney are an experienced rubbish removal company specialising in junk removal, furniture disposal and loft clearance in the Hackney area. If you live in the E5 or E9 postcode area, simply call 020 8396 7403 now and speak to one of our expert advisers and we will be happy to give you a free quotation. Waste clearance is a stressful issue for many of us, so why put yourself under unnecessary stress when the solution is just a phone call away? With our Hackney junk clearance services you have peace of mind that your rubbish is being responsibly disposed of. As an eco-friendly company, we are always conscious of our environment and ensure anything that can be re-used is effectively recycled. It doesn’t matter if your rubbish is in your loft area and hard to get to. We have years of experience dealing with junk clearance in many different locations and situations and we can assist with just about everything, with courtesy and efficiency. You may be seeking just a one-off collection service or perhaps you need an ongoing solution. Either way, we are at your service. Just call 020 8396 7403 today and everything will be back in order in your home within no time. Be clutter-free again and breathe new life into your home. Contact us today on 020 8396 7403 and get a free consultation with and expert! 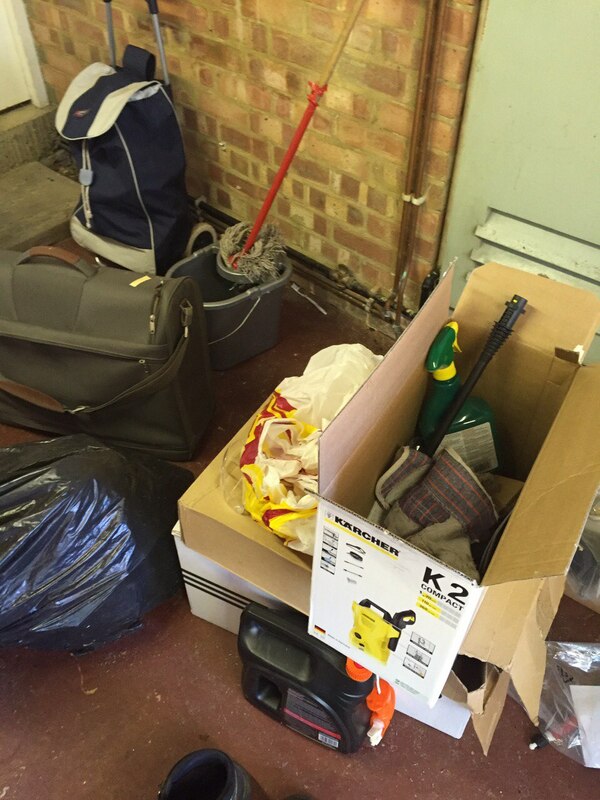 Waste removal Hackney E5 can be a full-time occupation, particularly if you are working on your home or garden. To ensure you get the best idea of what will work best with your home it is essential to completely clear the decks of all the rubbish and accumulated junk that you neither want nor need. Then you will have a better feeling of space to work with and who knows, it may inspire you to undertake great transformations in your house and garden. It’s important to consider efficient rubbish collection before the situation gets out of hand, which is easily done! Our experienced Hackney rubbish removal teams come fully equipped for all nature of tasks although you can save even more if you use our services on a regular basis. You can sit back and relax while our staff clear, pack and load everything you instruct us to… what could be easier? Our rubbish removal services cover the whole E5 and E8 postcode districts. Waste clearance can easily be undertaken in houses, apartments, offices and commercial spaces by our experienced professionals. There really is no job too big or too small for our committed operatives and our pricing is super competitive, making us the best in the business. With the stresses and strains of the daily grind, who wants to have to deal with piles of unwanted rubbish during their free time? Your rubbish is our business and we can make the whole process hassle and headache free. Rubbish Removal Hackney can work to your timetable rather than you fitting into ours because our reputation is based on customer satisfaction. We worked hard over the years to achieve our good standing in the Hackney waste removal sector and so we naturally strive to maintain it by being the best at what we do. If you are in Hackney, E8 and are drowning beneath piles of unwanted clutter or you can no longer see your lawn for the debris strewn all over it, call 020 8396 7403 today and you will receive our very prompt attention. The loft clearance team showed up on time and got straight to work. Waste Collection Service cleared away all the waste materials and left my loft tidy too. Rubbish Removal Agency gave me a great junk removal service recently. They were able to collect everything from my house and dispose of and recycle all of it. I barely had to do a thing, as their top team did all the difficult work.